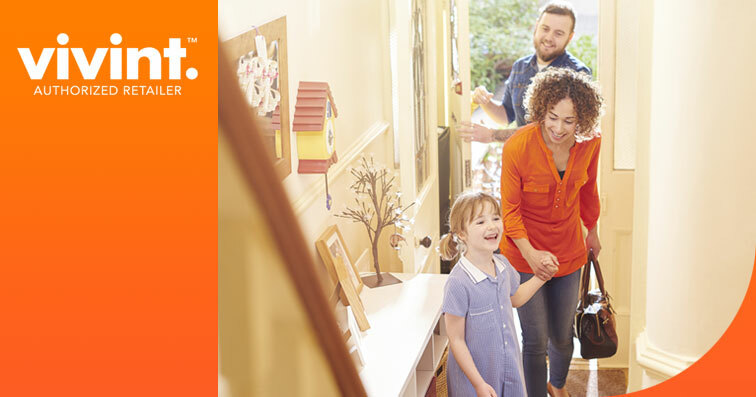 Vivint Smart Home provides 24/7/365, award-winning home security monitoring services. When smoke, fire, or carbon monoxide create life-threatening situations, the one-touch emergency callout button on your control panel puts you in direct contact with monitoring teams, shaving precious seconds off response times. 2nd touchscreen (call for price) – The touchscreen panel offers an all-in-one security and home management solution. With an LCD touchscreen and remote control capabilities, it is the base of your smart home environment. Smoke Detectors ($120) – The Vivint smoke alarm detects drastic increase in heat, as well as smoke. These sensors can even detect a wall fire. Key Fob ($60) – The Vivint key fob allows you to take advantage of the most important features your system has to offer – all from the palm of your hand. Motion Sensor ($120) – Based on the latest infrared technology, the Vivint motion detector comes with three different mounting brackets and a 90” lookdown, ensuring that intruders cannot pass by unnoticed. Recessed Door Sensor ($60) – The Vivint recessed door contacts are the most flexible and versatile in the industry. Created to fit into your door or window frame, they’re virtually undetectable. Door and Window Sensors ($60) – These small, unobtrusive devices are installed on both sides of your doors and windows. Equipped with a tamper-sensor, they provide the highest levels of security for your home. Glass-break Detector ($120) – Specifically designed for rooms with multiple windows, the tamper-proof Vivint glass break detector provides maximum detection coverage with a 360-degree horizontal sensing angle." *Security system requires a 60-month monitoring agreement, home ownership and approved credit.